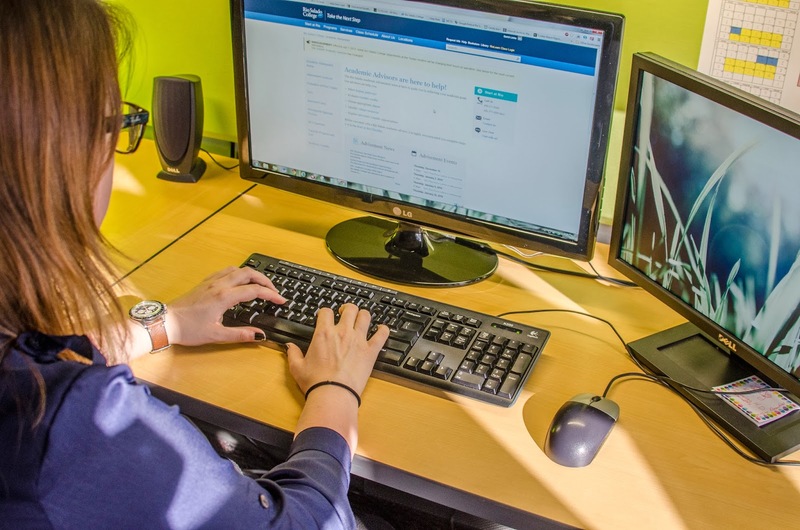 Rio Salado College students don't HAVE to follow a traditional academic schedule, but many do. As the rest of the Maricopa County Community College District ramps up for the first day of class, Rio Salado student services prepare for the back-to-school rush. This unavoidable season of high call volumes, long queues and mild chaos is lovingly referred to as "Peak." Peak starts around the second week of January and lasts pretty much the entire month. Here are a few insider tips to help students avoid standing in line or waiting on hold. Phone support is available 24/7 during peak. Call after 6 p.m. if possible. Financial aid is busiest at lunch time (11:30 a.m. - 1:30 p.m.). Midweek is the best time to call or visit the cashier's office. The cashier's office is busiest during lunch and at the end of the day. Self-serve account information can be found in the my.maricopa.edu student center. Call before 10 a.m. if possible to avoid the midday rush. In-person support is less crowded in the mornings and at the end of the day. Midweek is the best time to call or visit enrollment services. Registration is busiest during lunch and at the end of the day. To avoid long lines, it's best to arrive as close to 8 a.m. as possible. The computer lab at RSC Tempe can get crowded in the evenings. Computer labs are available at five different RSC locations. Mornings are typically very quiet in the RSC Tempe computer lab. Peak seasons for RSC testing are in April, October and December. Testing on a weekday is recommended. The test centers are busiest on Saturday. In order to address the increased demand for student services during peak season, the admissions and records department as well as the financial aid and advisement offices will be open 10 a.m. - 2 p.m. Saturday, January 11 and Saturday, January 25. Visit the Rio Salado College Service Hours webpage for details.